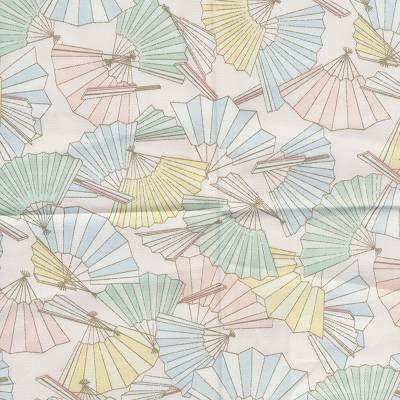 We’re in the thick of the summer, and all we can think about here at Barras Fabrics is how the sunny days and balmy nights are almost at their end.Now’s the time to take advantage of summertime fabrics and throw them everywhere! 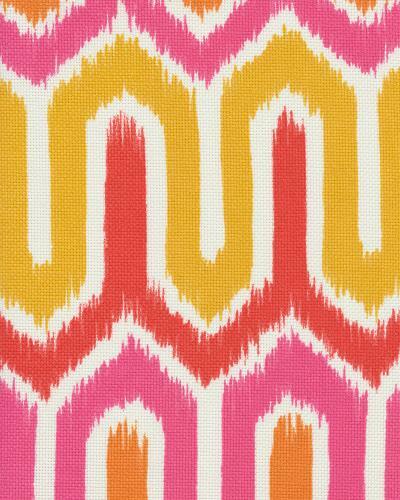 From bright florals to cheerful colors to eye-grabbing patterns, we have a yard (or two or three or twelve) of every fabric that catches your fancy, so hit the pattern you want to see more of and you’ll be directed to our online discount fabric store. 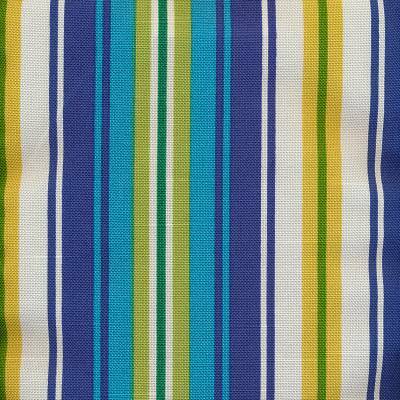 There, you can easily order custom amounts of the fabric YOU want to see for the rest of the summer. 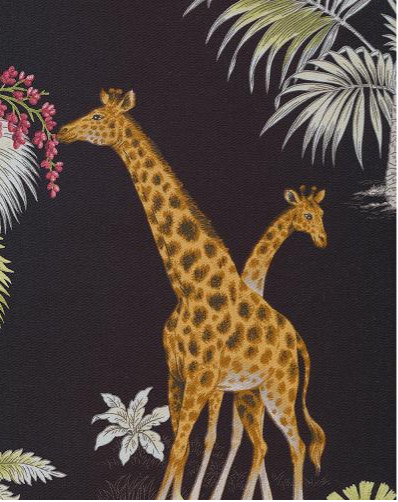 In this edition of the “catalog”, we’ll be highlighting our cotton prints collection, which can be utilized almost everywhere, including clothes, drapes and and handbags. Enjoy browsing! What comes to mind when you think of summer? For us, it’s just the thought of digging our toes into the sand, waves kissing our feet, and soaking up the sun while staring into the ocean’s horizon. Unfortunately, not everyone has the opportunity to leave home or work for that perfect summer getaway (insert daydream interrupted sound effect). 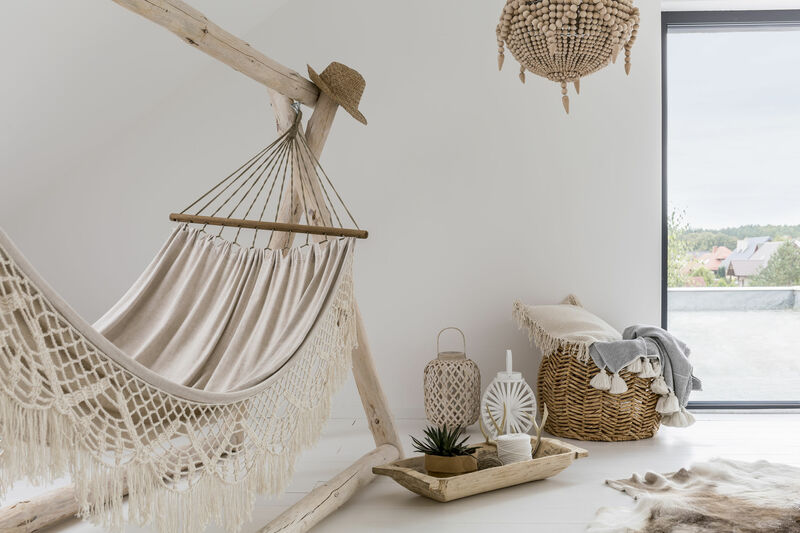 Whether you’ve just returned from a lovely beach vacation and are suffering from withdrawal, or simply looking to bring a taste of the tropics to your space, we’ve got some amazing beachy-bliss decorating ideas for you to try. 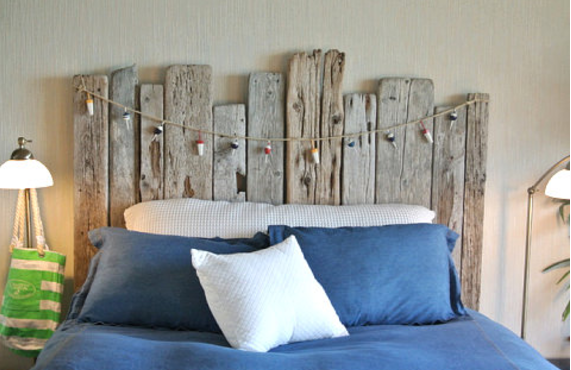 1: Make a beach themed headboard: This DIY headboard made from driftwood can certainly stand out as a focal point for your beach themed bedroom. 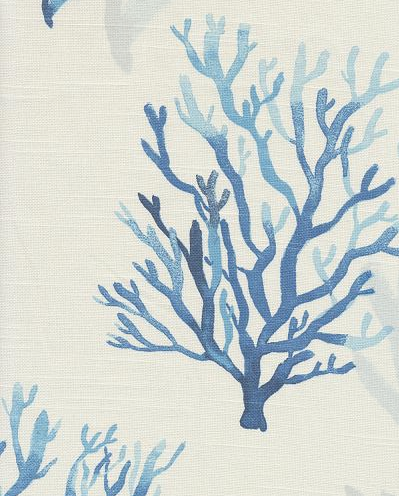 2: Use nautical themed decorative pillows: Brighten up your white bedding with coastal themed decorative pillows. 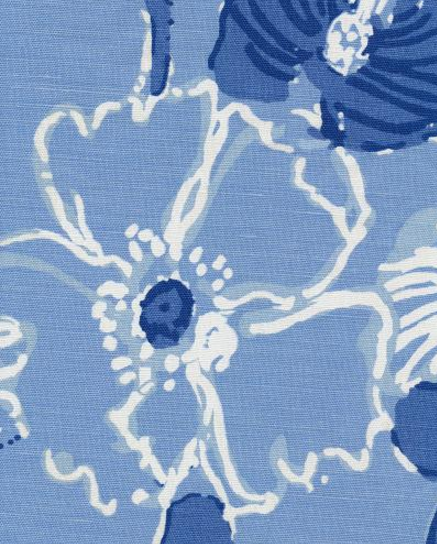 Choose decorative fabrics with sail boats, anchors, or life ring prints. 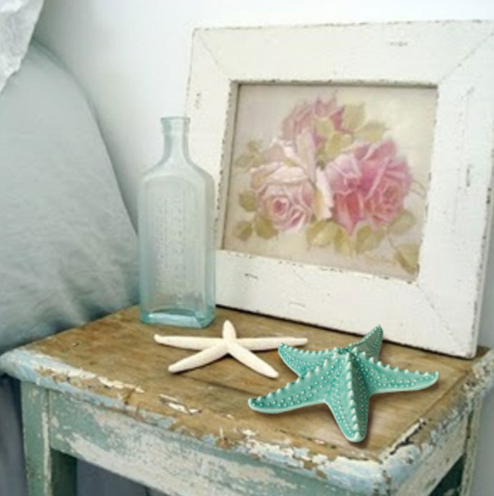 3: Accessorize your night stand with beach-themed accessories: Bring out the old sea shells and starfish you’ve collected from your last beach adventure, frame some photos of your past adventures in the beach, and add a little creativity to decorate your night stand. 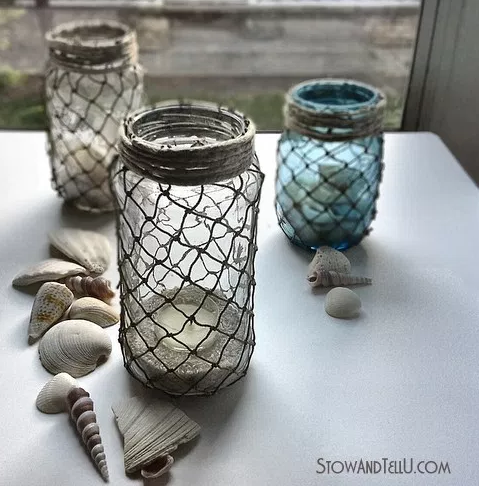 Use those mason jars lying around your house to make a Decorative Fisherman Netting Wrapped Jars, it will add a nice touch to your beach themed night stand décor. 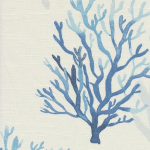 4: Add a pop of ocean color to your window: One of the quickest ways to update the look and feel of any room is by changing the curtains. 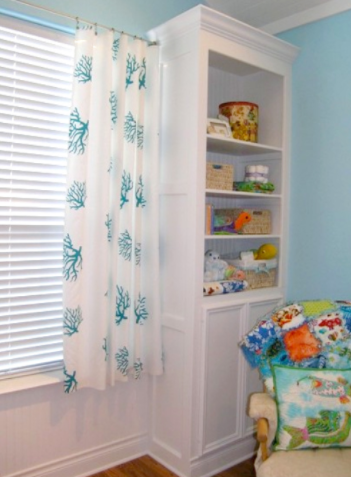 For a beach inspired look, choose a decorative fabric that has a combination between blue, green, turquoise, beige and white prints.Check out this easy diy tutorial for a No-Sew Curtain. 5:Play a calming beach sound in the background: There are sites online who offer free uninterrupted recorded nature sounds that you can play on your computer or download on your mobile. Play amazing ocean sounds and let the calming and soothing sound of the waves allow you to relax in your very own beach inspired bedroom. 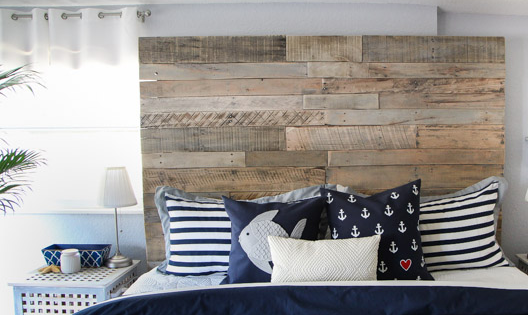 Are you ready to give your bedroom an updated beach inspired look? 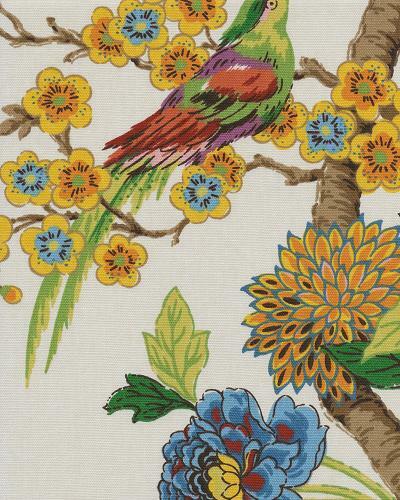 We hope you enjoy the rest of the summer, whether you’ll be out in the sun or at home decorating a room. Let us know your plans this summer by leaving a comment below! 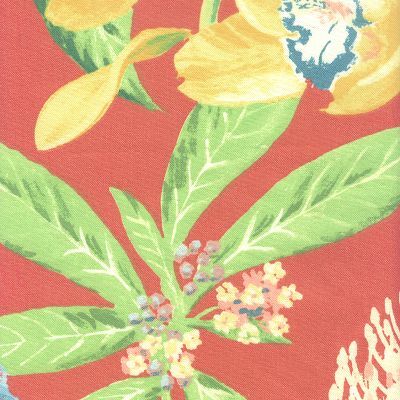 The days are longer, the weather is warmer, and Barras’ collection of discount fabric is bright, happy, spring-time tones is exactly what you need to bring the warmth of the season into your home. While florals are often chosen to represent the springtime vibe, don’t be afraid to experiment with colors, textures, and tones you’ve never used before. 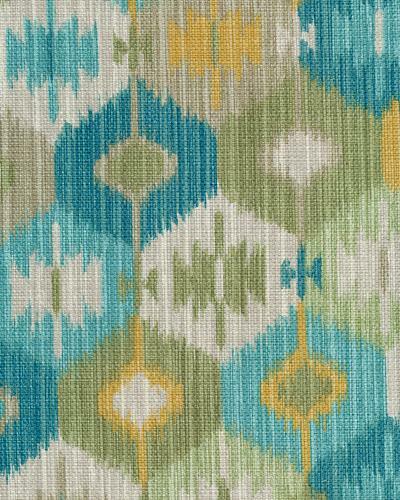 Your home decor fabric should be an expression of what spring means to YOU, so don’t shy away from using a swatch you’ve never seen before! His name is as iconic as it is synonymous with high fashion, classic taste, and timeless style. 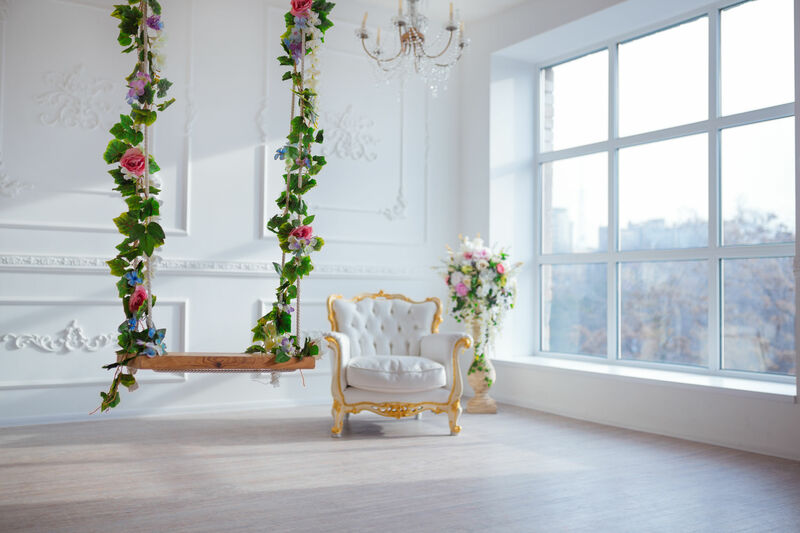 Mr. Lauren (or perhaps Mr. Lifshitz, but we’re getting ahead of ourselves) has created a broad empire encompassing not only every niche of the fashion industry, but the upscale home decor empire as well. Combining preppy silhouettes with a healthy dose of sportsmanship – think Polo t-shirts! 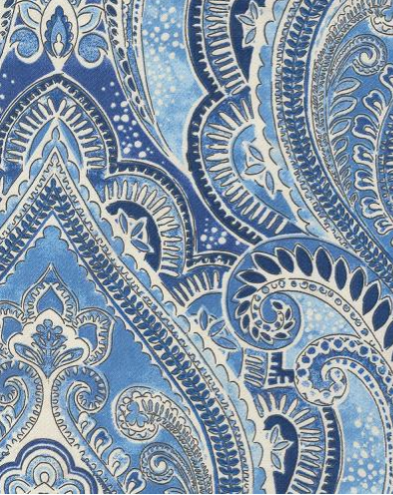 – the Ralph Lauren collection has carved itself a firm corner of the design world. Ralph was born to Ashkenazi-Jewish immigrants in 1939. In is early childhood, he dreamed of a career in sports, then showbiz, then eventually went on to study business before dropping out after only 2 years of school. After serving in the U.S. Army, he began working the counter at – wait for it – Brooks Brothers. At the age of 28, he convinced their lead manufacturer, Beau Brummell, to allow him to start his own line. And the rest, indeed, is history. 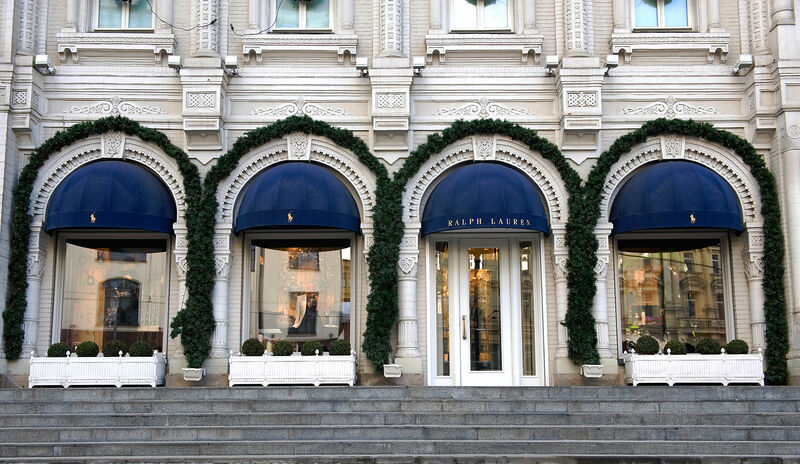 Ralph Lauren slowly built up his brand (of the same name), beginning with in-store boutiques, to the first free-standing American designer store in Beverly Hills, to a fashion empire spanning several lines, countless stores, and an infinite reach of influence. It was only a matter of time before Mr. Lauren launched a home decor line, bringing his iconic tastes to a whole medium. 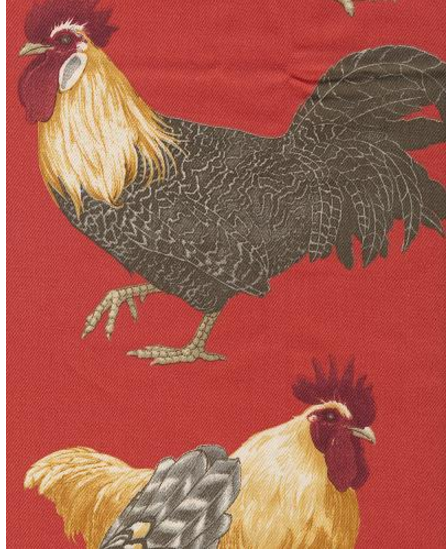 Ralph Lauren’s textiles combine the best of what the brand has to offer. 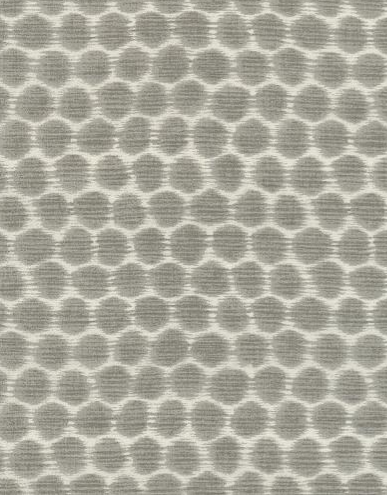 These materials shine from curtains to bedspreads to upholstery. 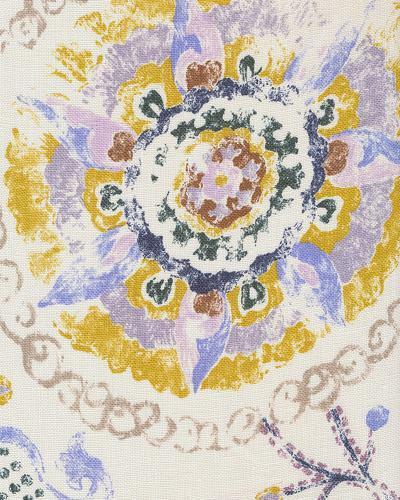 Shop our collection of discount luxury fabrics from Ralph Lauren here and bring that preppy, sporty, and timeless flavor to your living space. 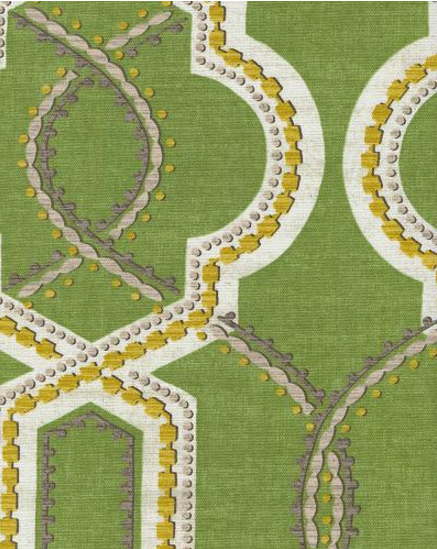 Where can you see these fabrics in your home? Which of these patterns speaks to the most? We’d love to hear from you in the comments below! Last week, we spoke about the incomparable joy of handmade gifts. There’s absolutely nothing like knowing your gift was crafted specially to suit your tastes, interests, and personality. The beauty of handmade gifts is that they’re twice as meaningful, usually for half the price of say, a new espresso machine. Personalized gifts come straight from the heart, not the wallet! Read last week’s blog for three inspirational DIY gifts HERE. For the fashionista in your life who never liked convention anyway. 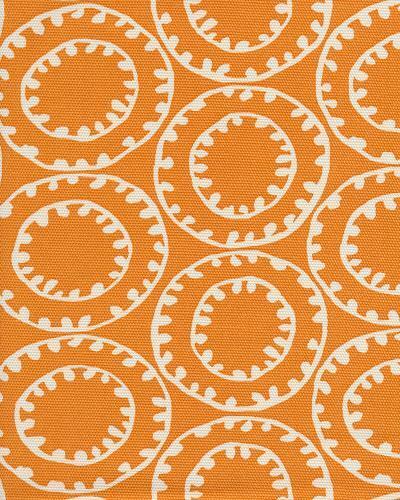 Shop our online fabric store for great deals on threads to sew this quirky must-have! We’re a tech-first generation, after all! Add a personalized touch to your “Black Mirror” with a homey, cutesy case. Super easy to make, and always appreciated. Coffee addicts, rejoice! Make two of these creative cups for you and your fellow coffee-holic. 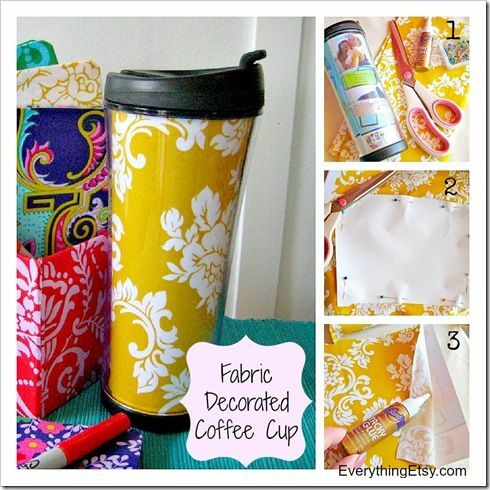 Find a fabulous fabric, grab some glue, and a blank cup from your local dollar store and get crafting! 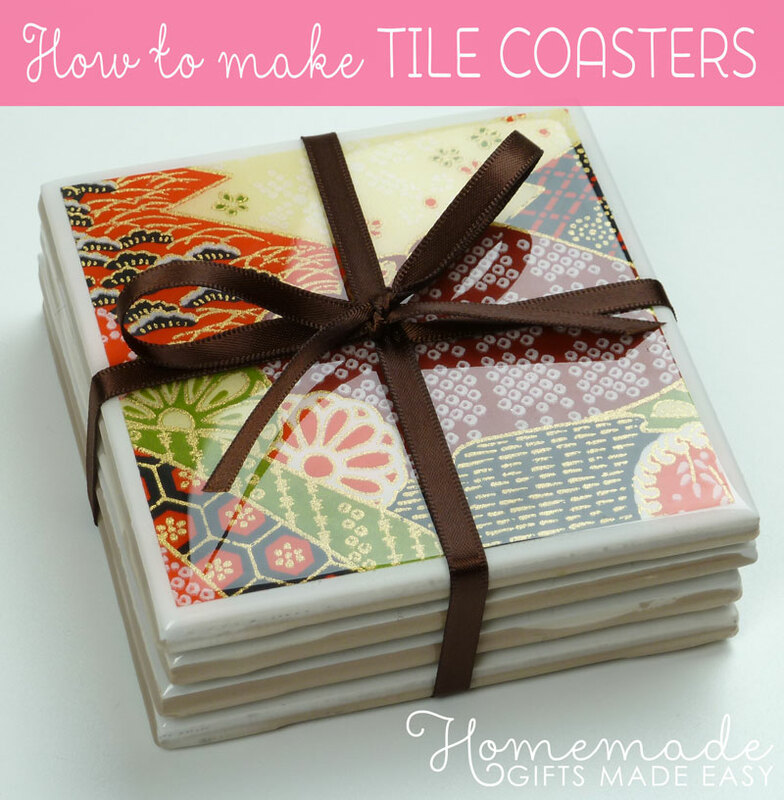 There are a bunch of coaster DIYs online, but this one holds up to its promise: a stunning, artisan, and most importantly waterproof custom coaster. 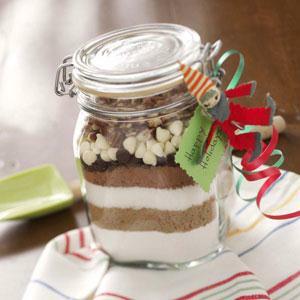 How can we not feature these adorable treats-in-a-jar? Layer the dry ingredients, wrap in a fun bow with the recipe attached, and let your giftee do the rest! Give the gift of an oven-full of fresh, warm brownies. Hopefully, they’ll share. 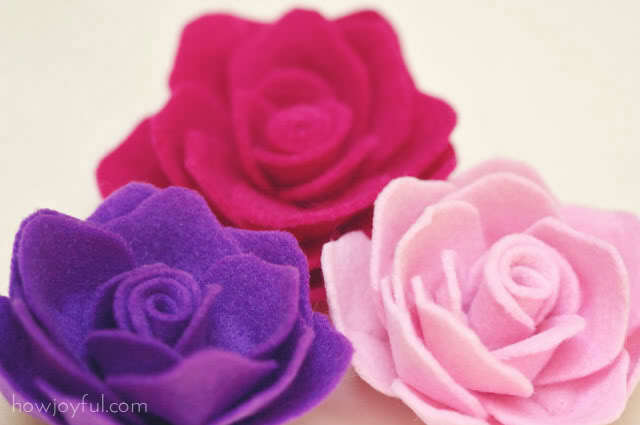 Have you tried any of these beautiful, heartfelt DIYs? Were you officially crowned greatest gifter ever? 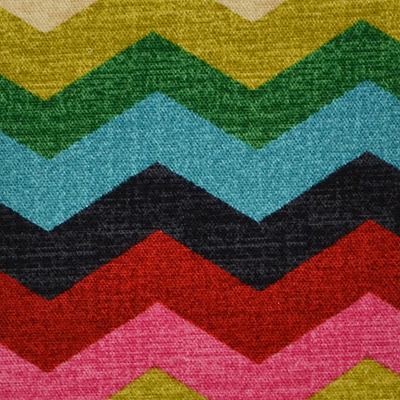 Tell us in the comment, then visit Barras Fabrics’ blog for more crafting inspiration! 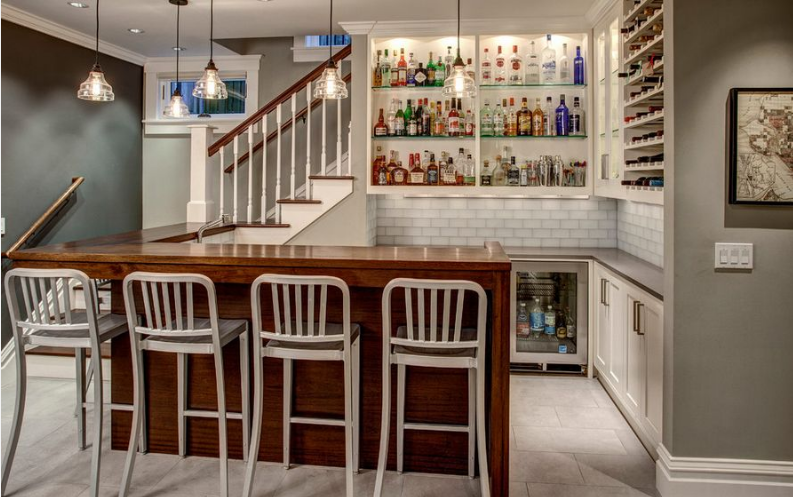 Whether your home’s lowest rooms are a grungy Man Cave, spotless home office, or a child’s dream hideaway, one thing should not change: your basement must make up in style what it lacks in natural light! Though basements are more prevalent in certain residential areas than others, they provide a great way to add square footage to your home. 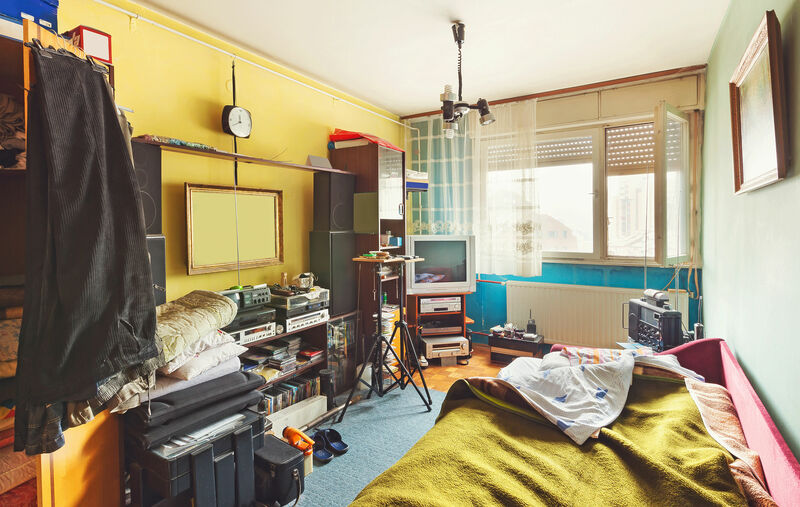 Many basements are reduced to simple storage rooms, coated in dust and only visited when absolutely necessary. 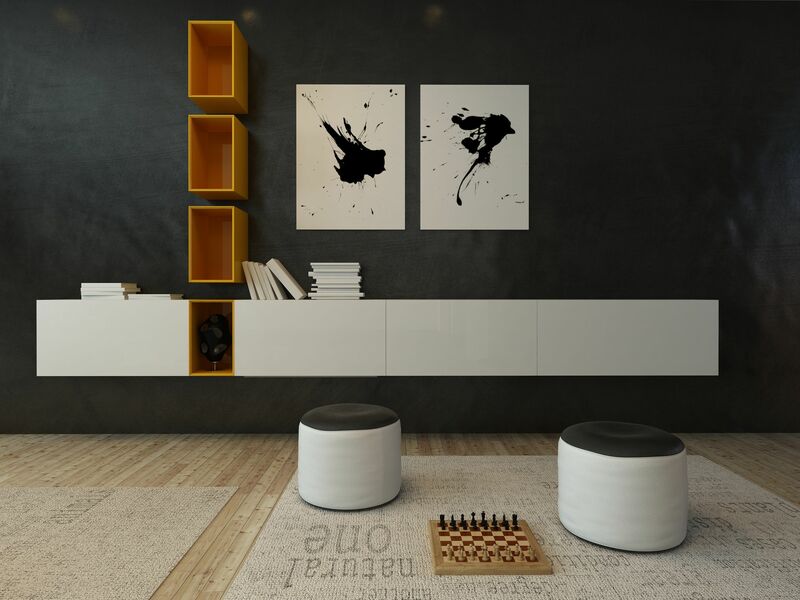 Why not utilize the space that you already have to create rooms you love to be in? 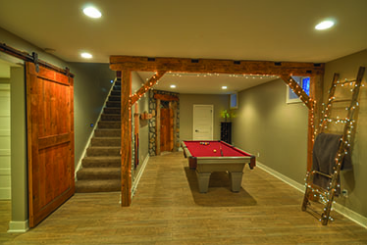 The first step in your basement makeover should be making sure your basement is safe to use. Call in an inspector to check the electricity, plumbing, window seals, and (shudder) pest control. Once you have clearance on these fronts, it’s decorating time! You know we’re obsessed with color…The right hues transform any space from dark to delightful, drab to fab, and depressing to energizing! 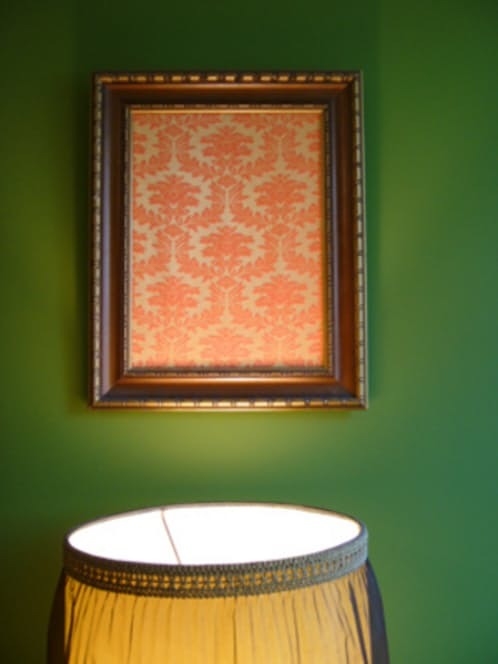 We’re here to help you find the perfect color scheme for your underground abode. Here are our top 5 Basement Color Schemes for 2017, complete with a teaser swatch from our online discount fabric store to add some inspiration! 2: Warm Woods and Whites. 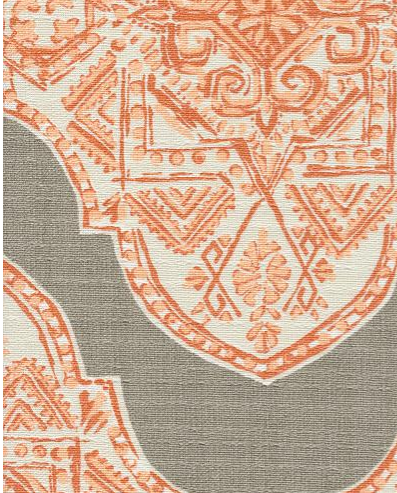 Neutral colors help bring warmth, light, and airiness to an otherwise dank space. Natural materials look rich while staying clean and easily manageable. We see this scheme as a great starting point for a guest wing. Think the sunny color is too aggressive for a small space? Think again! 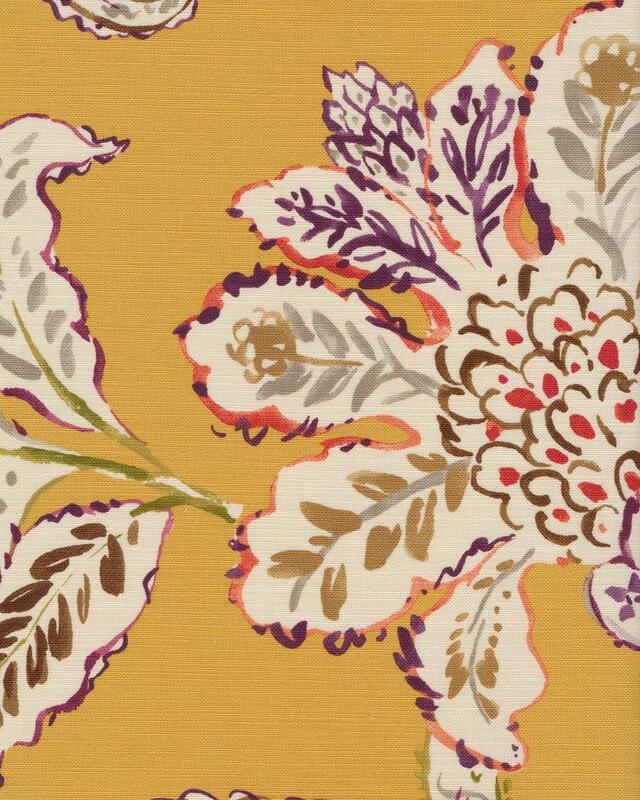 This bright hue adds life, energy, and the illusion of broader space when done right. Be sure to choose a sherbet tone, not Parking-Cone orange. A soft, powdery blue bounces both natural sunlight and artificial bulb light off the walls, brightening up the space while staying reserved. Blue is a great backdrop for neutral furniture, deep leather, and/or pops of yellow and pink. Why stick to one color? Make your space come alive by mixing and matching all your favorite things into one place. 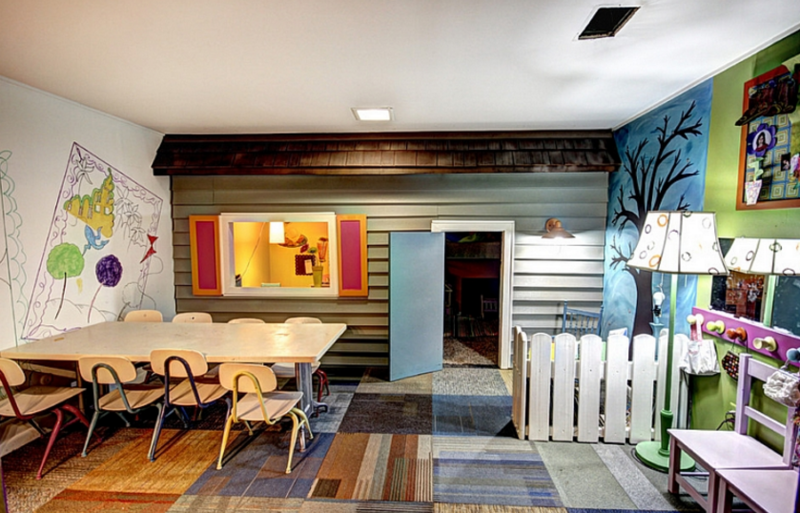 Try different carpet swatches, whiteboard walls, and your child’s (or your own!) artwork on display for all to enjoy. The sky’s the limit! 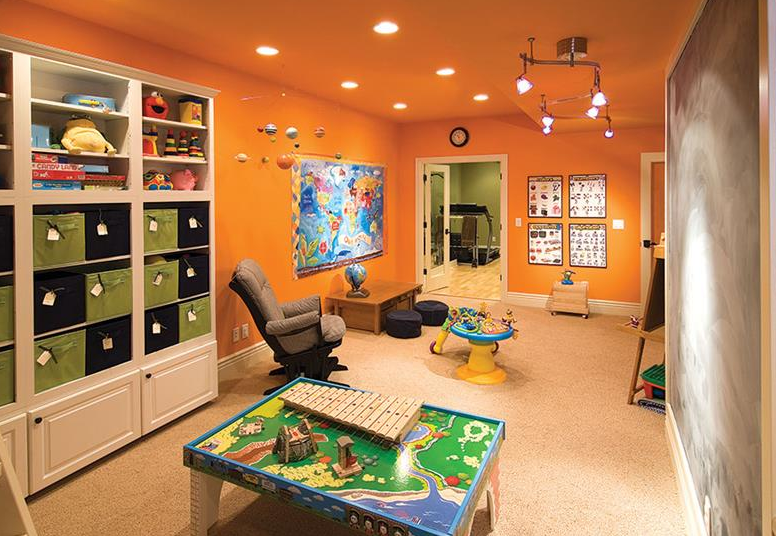 Feel like transforming your basement this month? 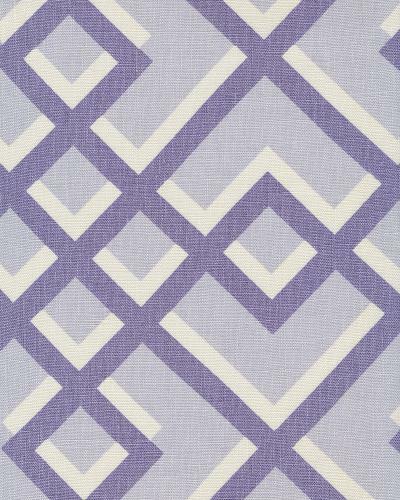 Stay tuned for more home decor tips and tricks from Barras Fabrics! But mainly, the fresh new start. New Year’s resolutions have a pretty bad rep. Whether that be because most go unkept or the idea is kind of cheesy, we’ll never know, but we’ll never stop making them. This year, we pledge to do more for our communities, continue to create and sell magnificent fabric that brings joy to your world, and keep our customers satisfaction at 100%. 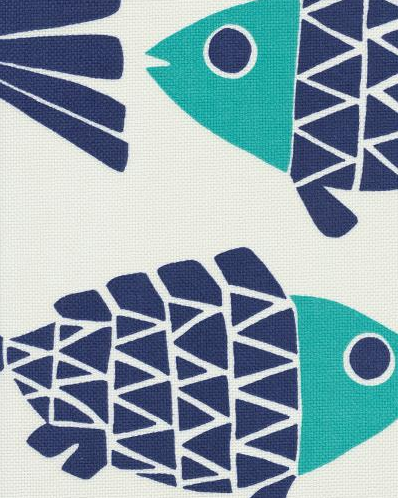 So in the spirit of fresh new starts, we’re unveiling the fabrics we’re bringing in for 2017 a little bit early! 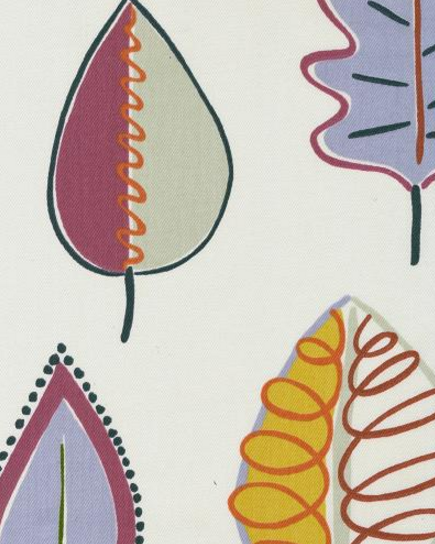 These 5 materials have us itching to use them, and we’re pretty confident they’ll inspire you to jump onto our online fabric store and get crafting yourself! 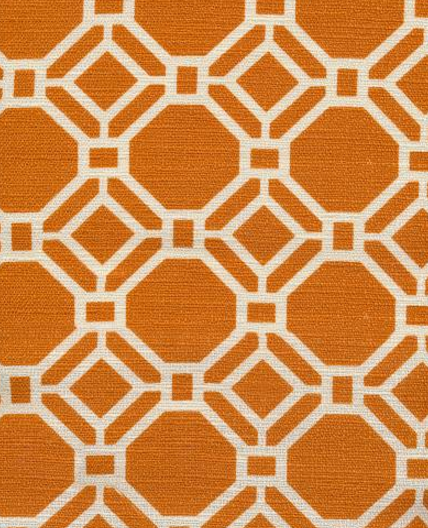 4.Malta Apricot : A close cousin to our first swatch, Malta Apricot is the perfect mix of happy bright color and sophisticated style. 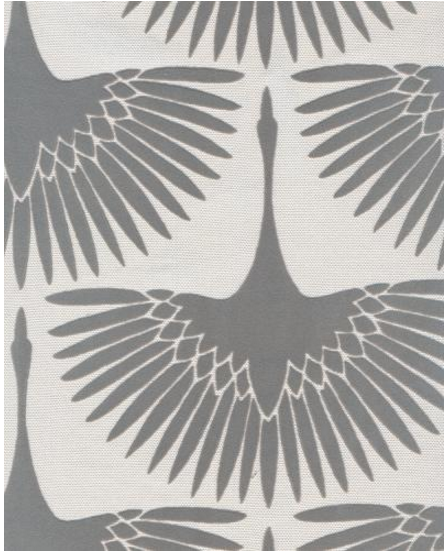 Can’t you picture this on a cute throw pillow? 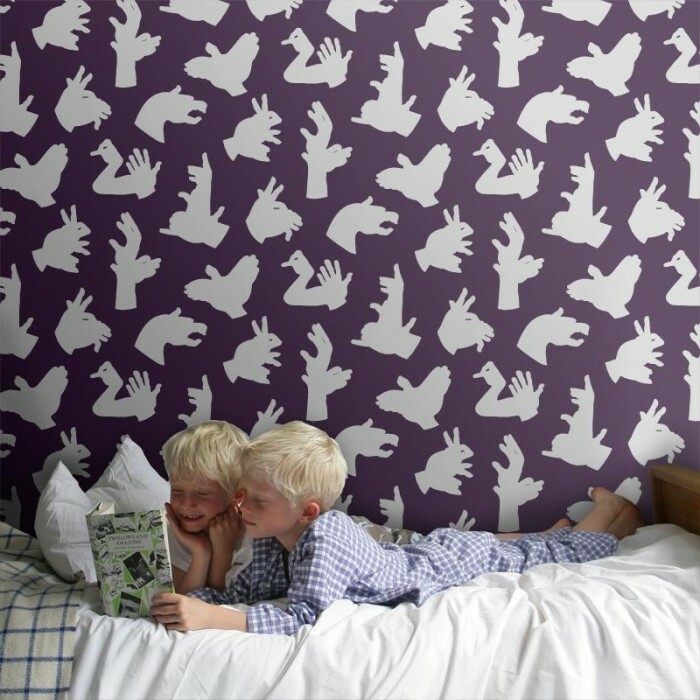 Here’s our inspiration (plus a great DIY from our blog). This 2017, why not add beauty to your space with all the wonder these magnificent fabrics have to offer you? Let’s make this year our boldest, brightest, most beautiful ever. Wishing you a Happy New Year and looking forward to what 2017 has to bring! We're Microwaving Pizza...Come On Over! 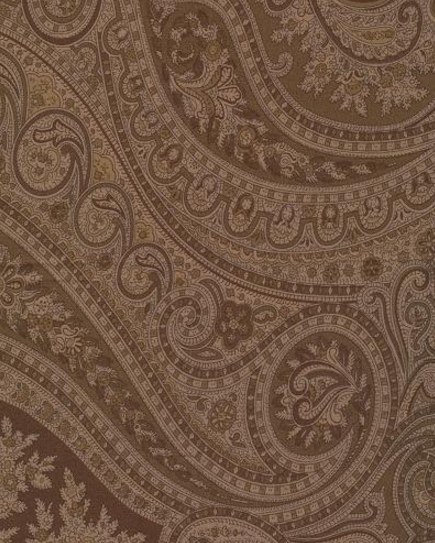 You just bought luxury discount fabric. Why? What's your dream Christmas present? I'll take a gift card. I ______ my living room. You're living room is open, neat, and features sleek technology. 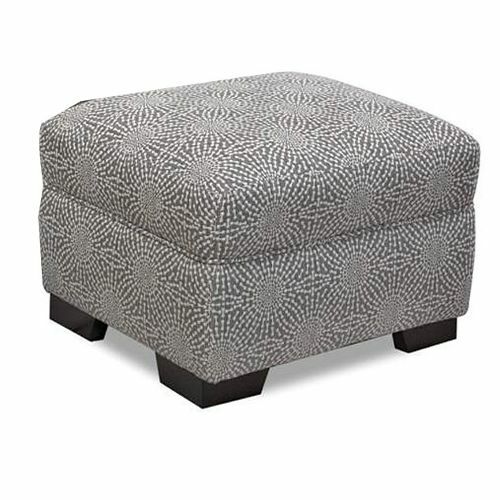 You're a fan of soft neutrals, bold accents, and of course: no shoes on the furniture! You're mantra: "Less is More". 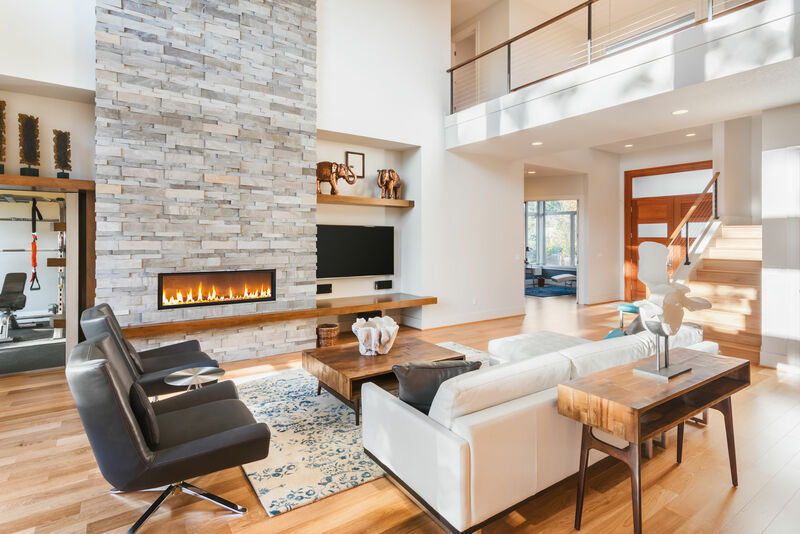 With sleek finishes, barely-there color palettes, and lots of negative space, you're living room feels zen but stays exciting with pops of modern design. You're #1 living room rule? 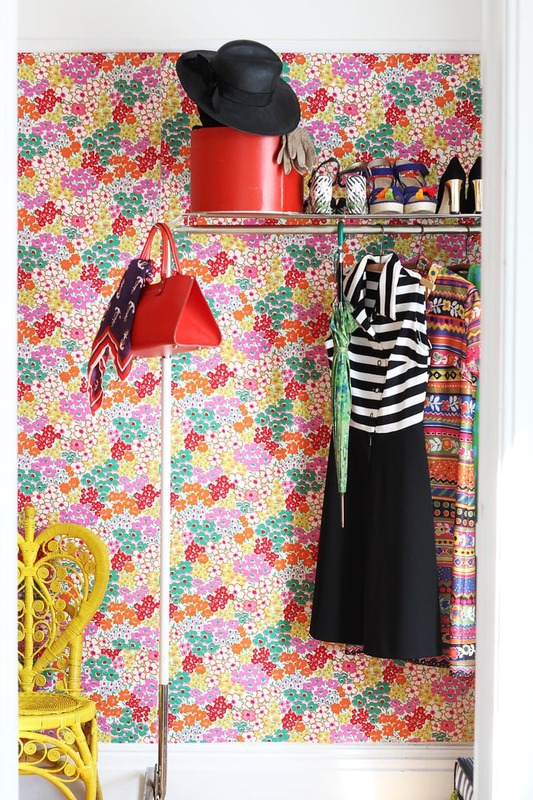 Save the clutter for the closet. Your living room is warm, inviting, and homey. After all, this is where you and your loved ones spend time and connect! 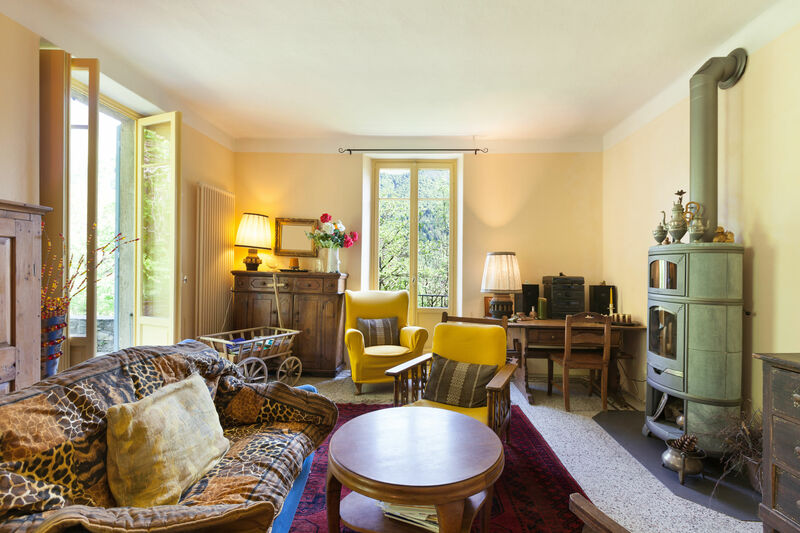 With plenty of bright colors, soft blankets, and couches you can sink right into, your living room is your own cozy corner of the world. Living room rule #1: don't forget to grab a beer! Your mom calls it a man cave, your sister screamed, and/ or your kids have lost more shoes in the couch cushions than they can count, but hey! This is your space. You've got all the essentials: a TV, seating, and four walls...and that's all you need. Your #1 living room rule? There are no rules! 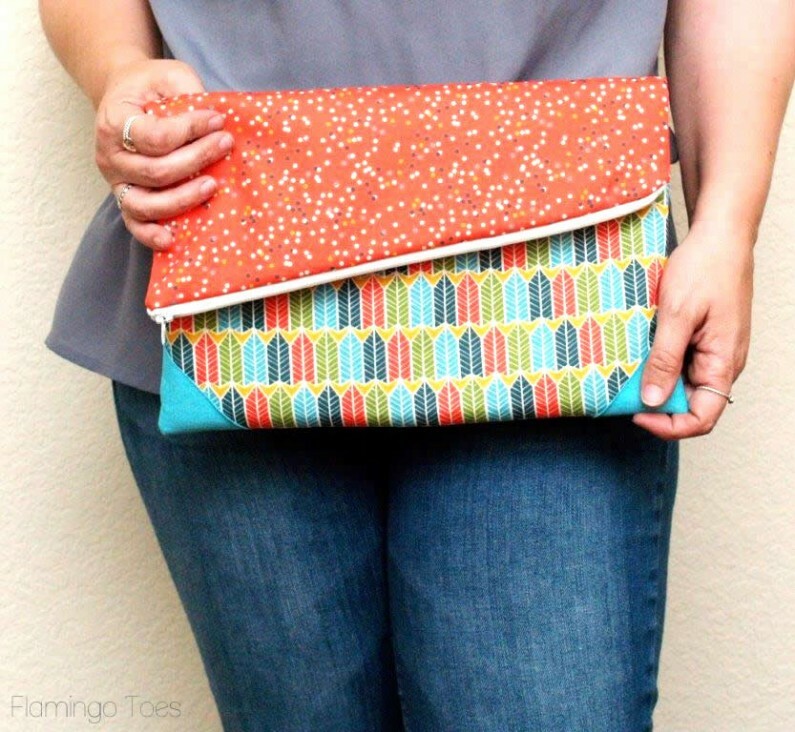 Using Leftover Fabric: Check Out These DIYs! Tired of throwing away all your extra fabric after a big reupholstering project? We’ve all been there. 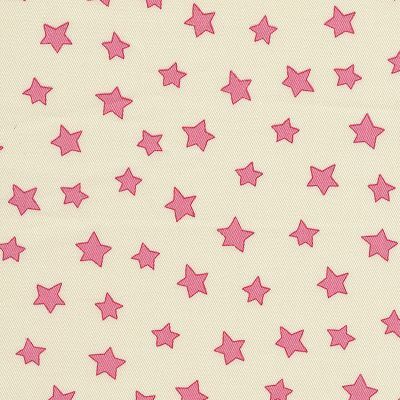 Your order three extra yards of fabric from an online fabric store (“just in case”), and get left with more pink-polka-dotted cotton than you’ll ever need. Well, waste not, want not! 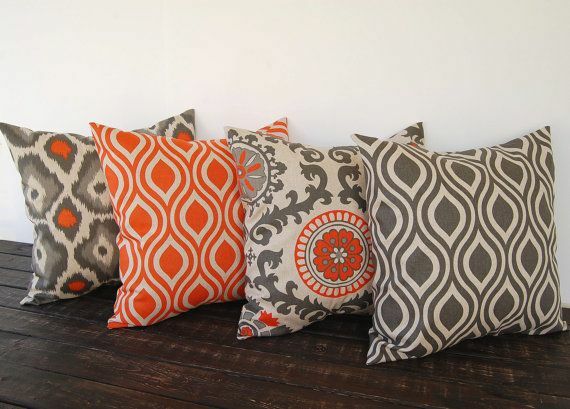 By using the leftover fabric from your big projects for smaller DIY’s, you save money by using more of the fabric you already have, bring your color scheme to other parts of the room, and get to use up every last drop so nothing goes to waste. Win Win Win! 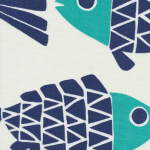 Here are some awesome DIY’s we found around the web, along with what fabrics we think would suit your project best! How awesome does that look? 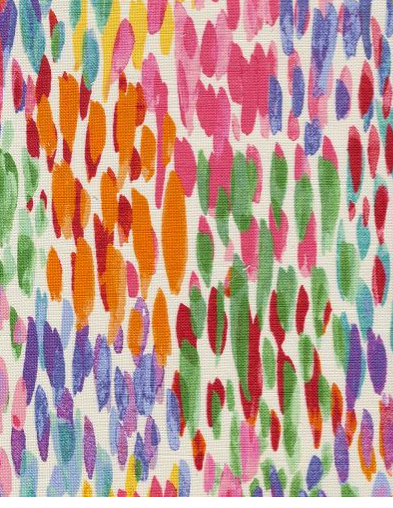 Some prints are truly works of art: display them like Picassos! 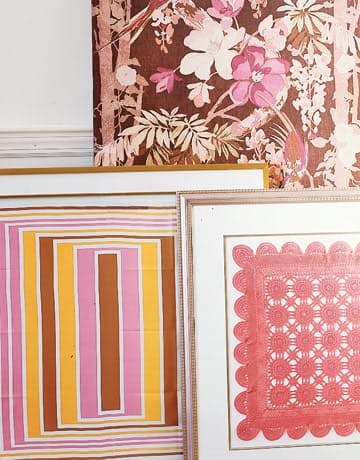 Just make sure not to hang the framed fabrics right near the couch you reupholstered in that print…that’s just cheesy. 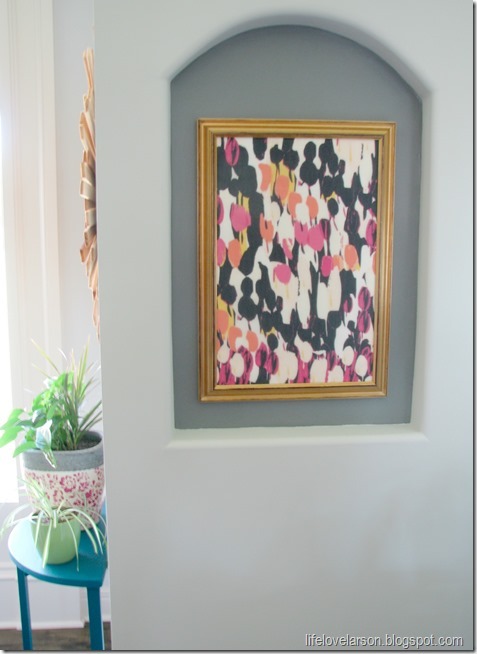 Buy cheap frames at an art store and get hangin’! This idea is pure genius. You’ll obviously need a bit more fabric to get this done, but the results are well worth it. Painting is messy and wallpaper is expensive! 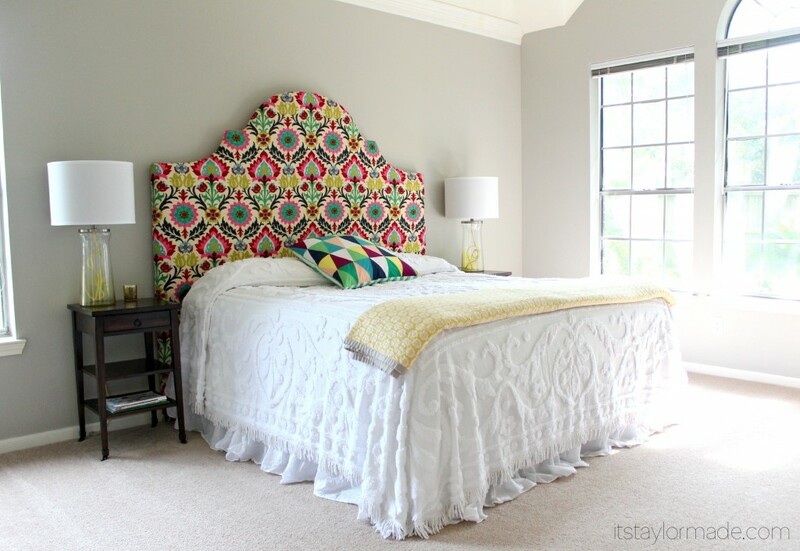 Hanging fabric on your walls is a perfect solution. This idea is also great for temporary apartments: don’t stick the fabric to the wall permanently: hang it, either from hooks or loose staples, on top of walls that you can’t ~officially~ do anything to. 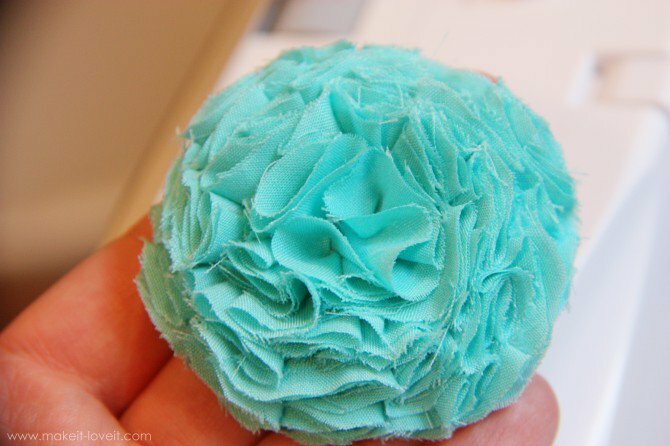 This DIY is perfect for when you have just a bit of extra fabric left. 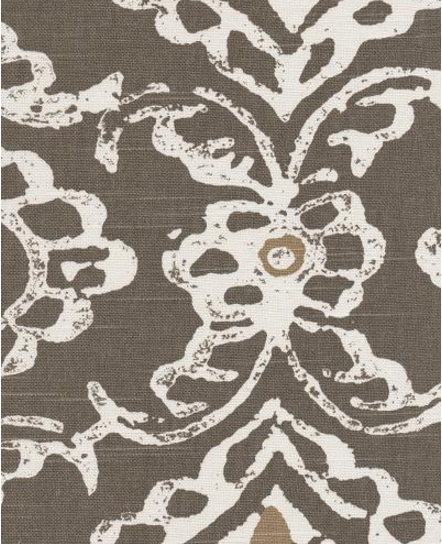 We can see these scattered on throw pillows, pinned on a corkboard, or even on the backs of your dining room chairs! 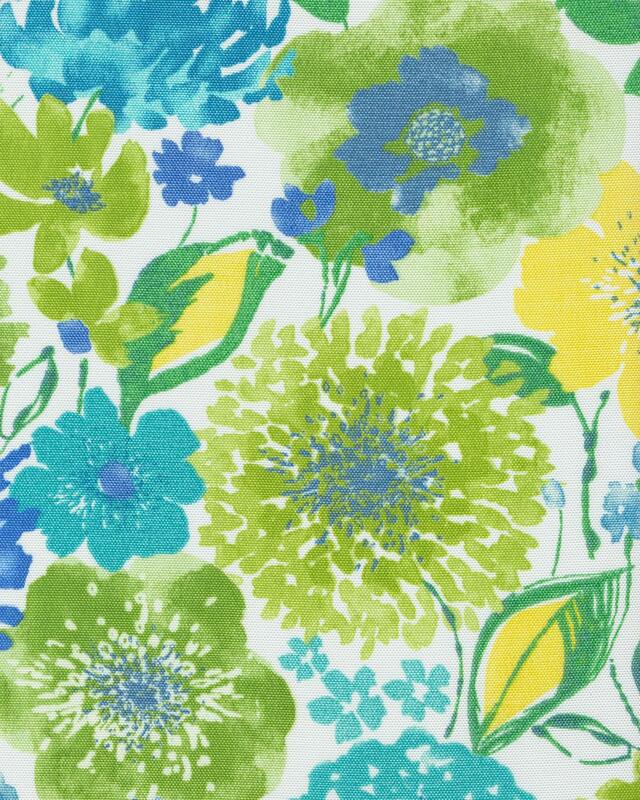 Flowers are sweet, happy, and add a whimsical touch to any space. 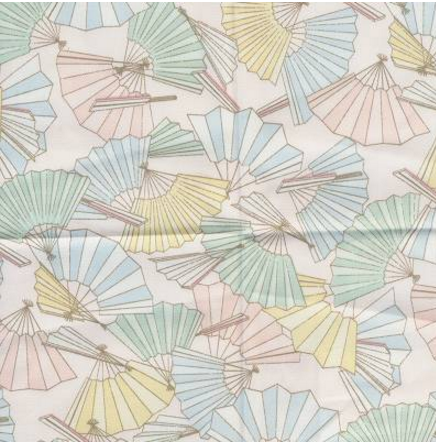 And great news: the more mismatched the fabrics that you use for this are, the more hipster it looks! So there you go! 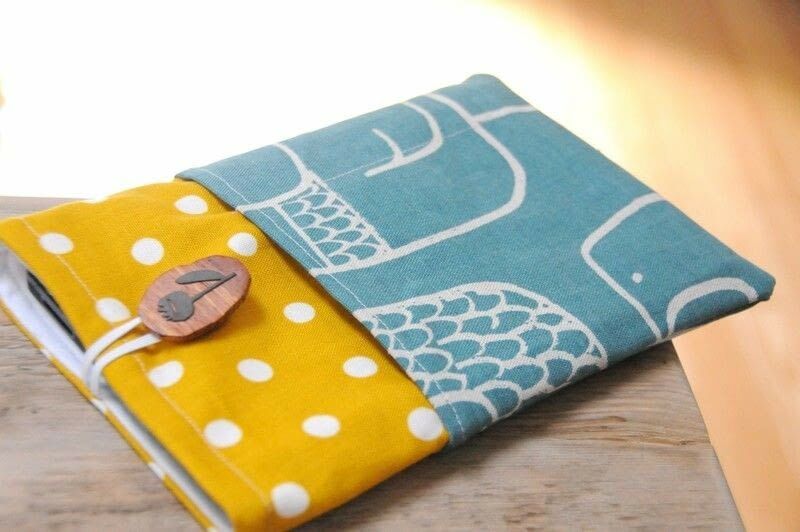 Some awesome ways to conserve extra fabric. 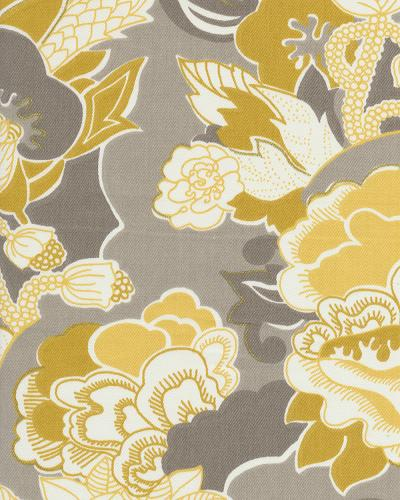 Show us your DIY home fabric projects, and don’t forget to keep your stash stocked with decorative fabric from Barras Fabric’s online store! What’s your favorite DIY from this list? Tried any? Let us know in the comments below! 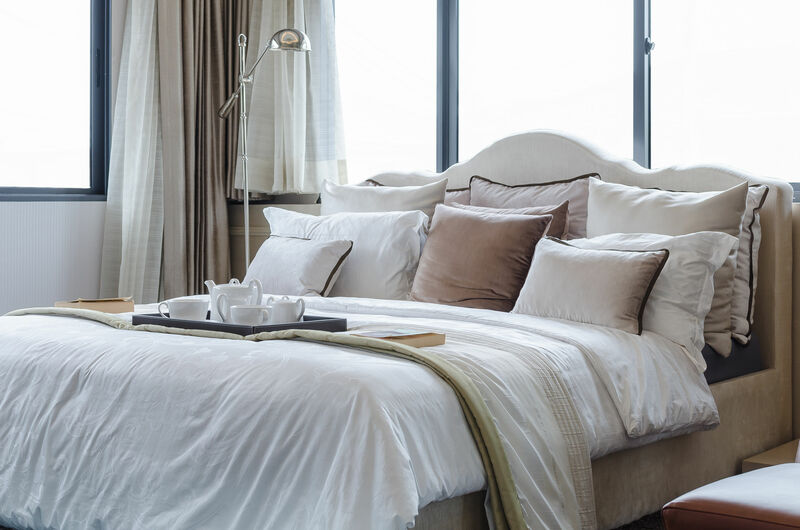 Few materials feel as cool to the touch and comfortable as pure linen-or have as varied a history. 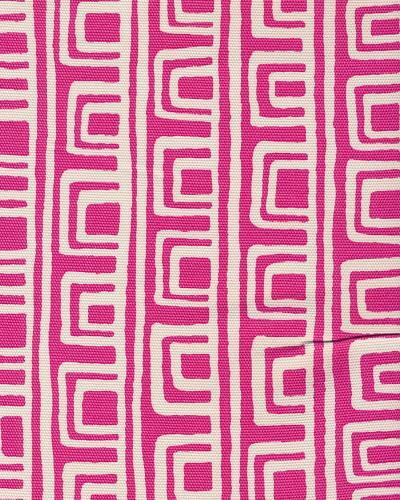 Â Although long regarded as a luxury material (as far back as the Mesopotamian era! ), linen has pretty humble roots: itâ€™s spun from the fibers of the flax plant, usually grown in cold, harsh climates, like Canada or Poland. This material has been utilized since antiquity. Linen shrouds were often used in the mummification process. In fact, perfectly preserved linen shrouds were discovered around the body of Ramses II, nearly 3,000 years after he was buried! Linen was often worn by nobility, as itâ€™s difficult production process made the material highly exclusive and desirable. The Irish in particular have a unique relationship with this delicate material, having produced it for centuries, usually with much difficulty and under extremely harsh conditions. Linen has great biblical significance as well, mentioned both as the clothing of the angels and in the Judaic prohibition of wearing garments made of blended wool and linen. 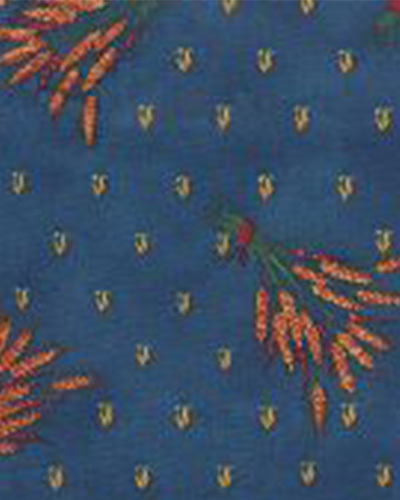 While linen is most commonly used in bedspreads and tablecloths, linen garments are still regarded as highly luxurious. Wear a pure linen garment for the day and youâ€™ll soon see why- the material starts off as stiff and somewhat scratchy, but soon softens and becomes highly flexible, breathable, and light. 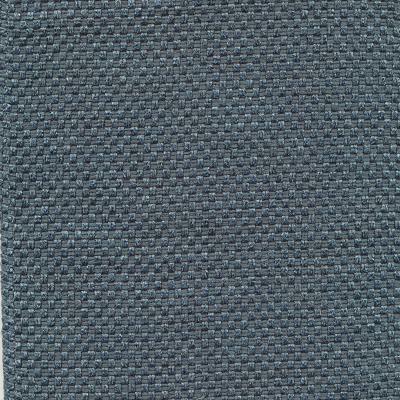 The fabric is also lint-free, has a beautiful natural luster, and is quite durable. 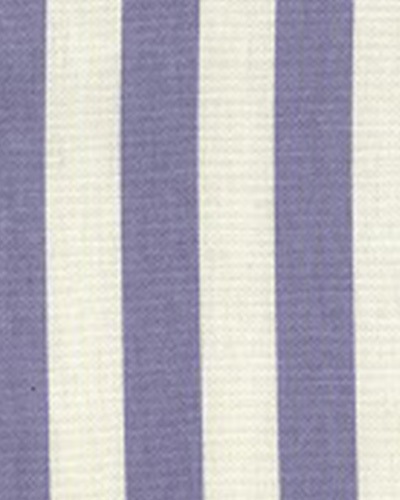 There are, however, some downsides to linen fabrics. 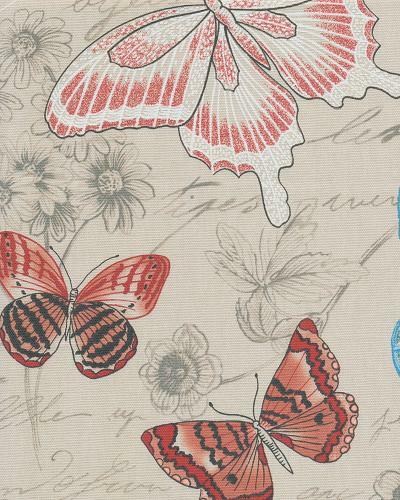 Firstly, depending on the quality and purity of the linen youâ€™re purchasing, the price can grow prohibitive. Secondly, because the linen fibers have very low elasticity, the fabric can break if folded repeatedly or otherwise abused. 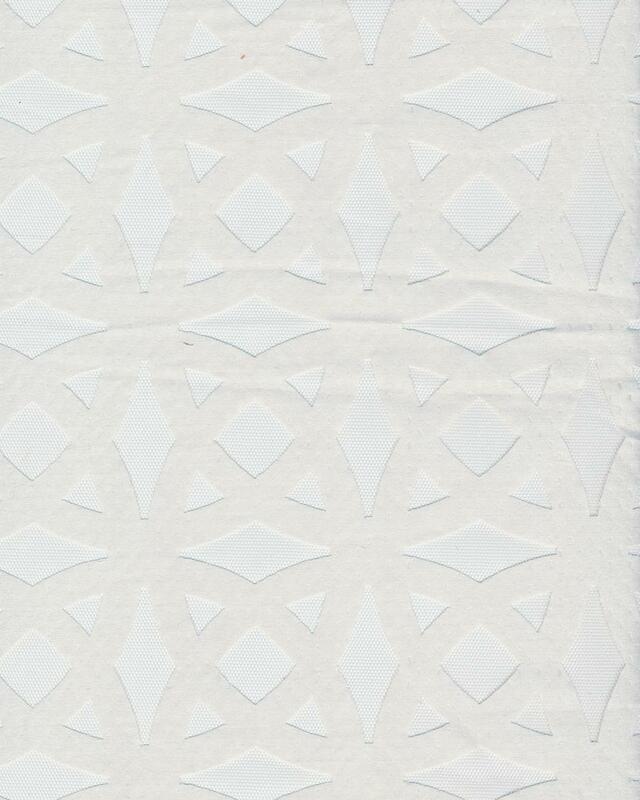 This also can contribute to frequent wrinkling, making linen quite a high-maintenance material. However, the benefits of this luxurious material are far worth the trouble! Linen shirts look and feel incredibly high-end, yet keep you cool as they remain highly breathable. Linen sheets have an incredible feel that aficionados swear by. 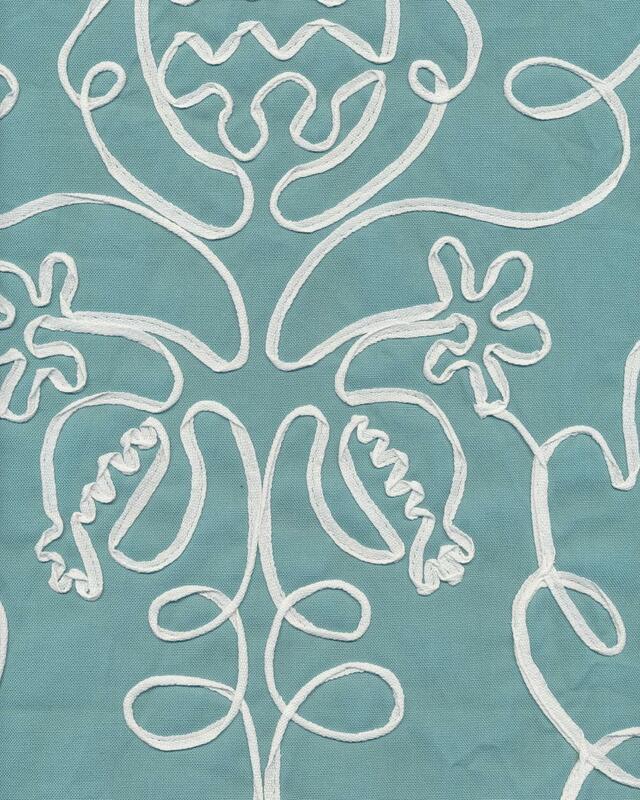 Linen tablecloths and napkins often take center stage at dinner parties for the elite. You too can experience the luxury of linen! 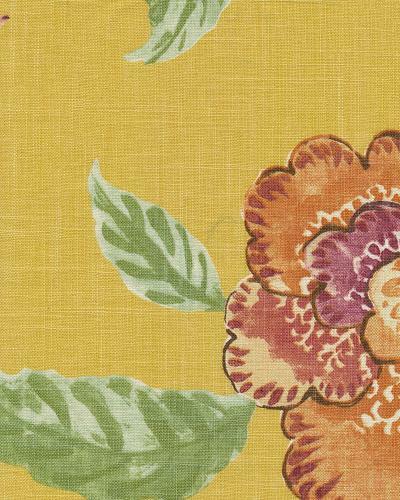 Browse your local fabric store, find the linen that speaks to you, and incorporate it wherever you want to add a little richness to your day.